Hendrix Genetics, through its 100% subsidiary Troutlodge Inc, the world leader in trout genetics and production of trout eggs and Mobarakandish, a leading animal breeding company in Iran, owned by Dr. Ardeshir Nejati and Mr Davood Saneei, have concluded an agreement to both produce and distribute Troutlodge trout eggs in Iran. 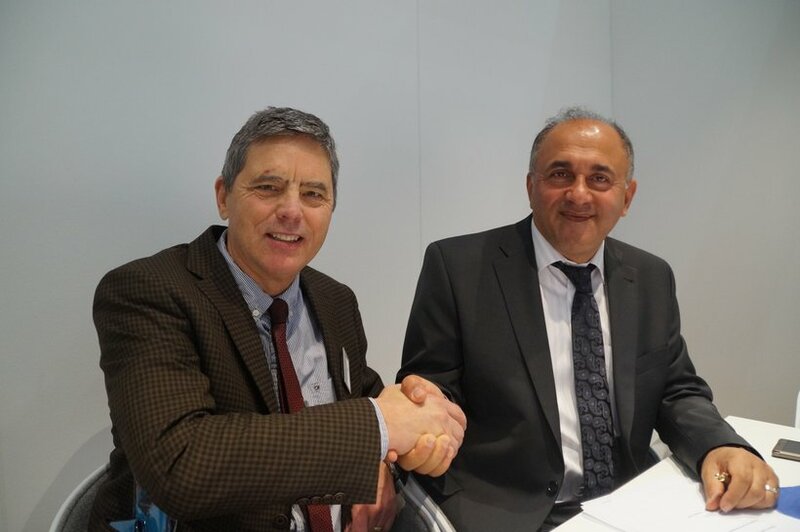 The collaboration will result in the supply of high quality Troutlodge trout eggs and healthier trout meals in Iran. Together, this partnership aims to capture a substantial market share of trout eggs in Iran within 3-6 years. A joint venture under which Mobarakandish will construct and operate trout egg broodstock centers in Iran, where trout egg production can be carried out in large scale in local environments. The support of Hendrix Genetics with over 70 years of Troutlodge expertise of breeding and genetics. The continuation of Troutlodge to export trout eggs from its US and UK breeding operations to Iran, but under the direction, guidance and support of Dr. Ardeshir Nejati of Mobarakandish Advanced Technologies. With further support from the liaison and initiator of this project, John Dentler, Sales and Marketing Director of Troutlodge. Iran is one of the world’s leading producers and consumers of rainbow trout, producing up to 120,000 MT of rainbow trout annually. Iran’s significant freshwater resources, inland lakes, rivers and brackish waters of the Caspian Sea, along with an industrious and well educated population, provide the needed ingredients to grow rainbow trout to market sizes.